Dallas is the perfect place to get married. The city's deep historical roots, style, and beautifully varied urban scene have resulted in an abundance of unique wedding venues. Whether you are a traditional couple hoping for a classic atmosphere or something more luxurious, there are certainly many options for your big day. 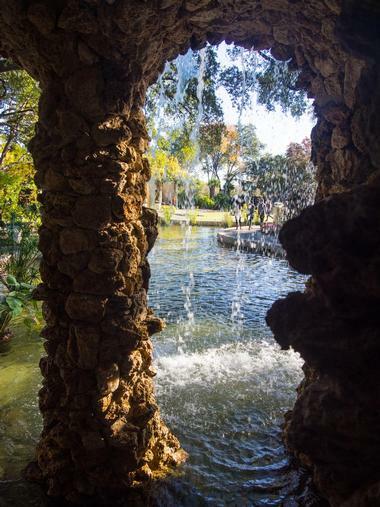 Dallas Arboretum and Botanical Gardens offers 66 acres of beautiful and romantic gardens and several reception venues. The park has a stunning view of the Dallas skyline as well as White Rock Lake. Sunset weddings are especially nice here. Those who wish to have an outdoor ceremony followed by an indoor reception will be happy to learn that this venue offers both. The beautiful flowers in the garden connected by meandering paths create an intimate and romantic setting as well as the perfect backdrop for your photographs. The venue has a wedding coordinator on staff who can assist with arranging vendors through their pre-set list of service providers. Longhorn Ballroom is an historic 1950s-era venue in Dallas, perfect for large-scale weddings, receptions, and other special events. The venue, which was opened as Bob Wills' Ranch House, has hosted country music luminaries such as Willie Nelson, Tammy Wynette, and George Jones. The 23,000-square-foot ballroom can host up to 2,550 guests for events, with two acres of additional outdoor venue space for several thousand more guests. Event spaces can be configured to guest needs, with food and beverage catering, music, audiovisual services, and entertainment options available upon request as part of event planning services. Smaller event configurations are also available for more intimate ceremonies, downsizing to comfortably accommodate as few as 50 guests. 2616 Commerce Event Center is a unique, multi-level event space offering three event venues in one location. 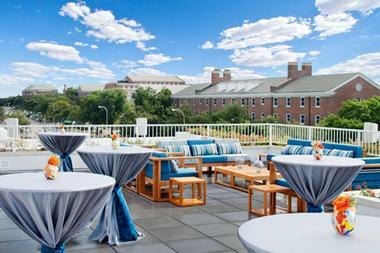 The outdoor rooftop deck looks out onto beautiful skyline views of downtown. You can celebrate in style with the skyline serving as the perfect background for a fun atmosphere as well as your photos. There are two indoor spaces as well. The third floor penthouse is an intimate space perfect for a cocktail hour or standing reception. The first floor has the largest indoor space; it can seat up to 350 guests for a full dinner and still have room for a dance floor and bar. 7 for Parties is a sophisticated and whimsical event space in the Design District. The freshly renovated space features three separate venues with unique decor and flexible layouts. If you use the entire space, it can accommodate events with up to 470 people. The smaller spaces, on the other hand, can easily host more intimate events. Each space has unique and interesting decor, visually striking furniture, and well-placed lighting to provide for an unforgettable event. 7 for Parties does not have their own caterers, but they do have a list of several approved caterers from which you may choose to provide food and beverages for your event. Arlington Hall at Lee Park is a beautiful historic building that sits on 15 acres in a park. The building can accommodate events with anywhere from 10 to 1000 guests. Wedding venue options include a formal garden, a pavilion, a portico, and two terraces. The space was remodeled in 2003 to combine several original elements with updated, modern features. The building has the appearance of a stately home, although it has never been a residence. The spaces flow together nicely to accommodate larger events. Alternatively, they can easily be sectioned off for smaller guest lists. The in-house caterer can customize a meal to match your requests. Catering is all-inclusive and includes alcohol, servers, linens, and more, making your event easy to organize. Hickory Street Annex is a very popular Dallas event venue located in a former industrial space in Deep Ellum. The building was originally used as a distribution facility for Gulf Oil. Today much of the facility is rented to small businesses and other creative outlets. Hickory Street Annex's event space has windows on all four sides offering unique views of downtown. The space has an industrial chic vibe with exposed brick, steel trusses, concrete floors, and a warm wood ceiling. They only book one event for each day so you will have plenty of time to enjoy your wedding without feeling rushed. They offer a list of approved caterers and allow alcohol to be brought in and served by licensed bartenders. 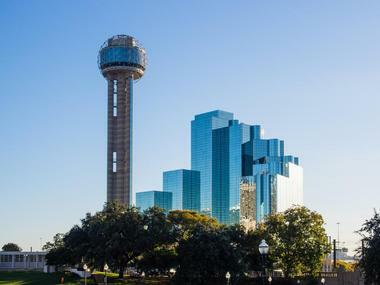 Hyatt Regency Dallas is located right in the middle of downtown Dallas adjacent to the iconic Reunion Tower. Many couples choose to get married on the observation deck of Reunion Tower and then host their reception at the Hyatt Regency. The Hyatt is connected to the tower, making the reception and accommodations very convenient for wedding guests. There is a range of event spaces within the hotel, including the huge 30,000 square foot Landmark Ballroom. As an extra bonus, the Hyatt has been remodeled recently, and the rooms are gorgeous. So, if you and your wedding party plan to book accommodations, you will be sure to be comfortable. Jupiter Gardens Event Center is a beautiful indoor and outdoor wedding venue. The indoor space includes the Athena Ballroom, which is a luxurious banquet hall that can seat groups up to 280 guests. For smaller weddings or receptions, the property's Artemis (East) Room and the Aphrodite (West) Room are both popular for intimate events and can seat between 60 and 100 people. 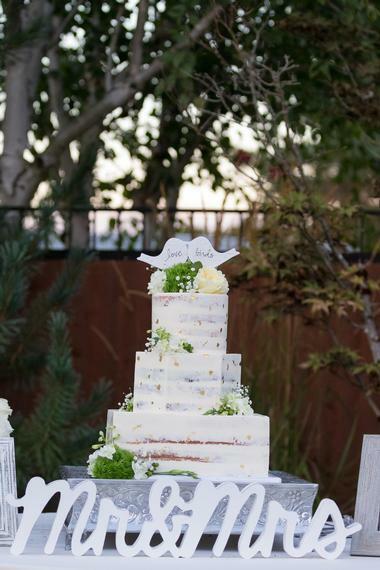 For those who prefer to exchange vows outdoors, Jupiter Gardens Event Center features a romantic courtyard garden perfect for an intimate ceremony. 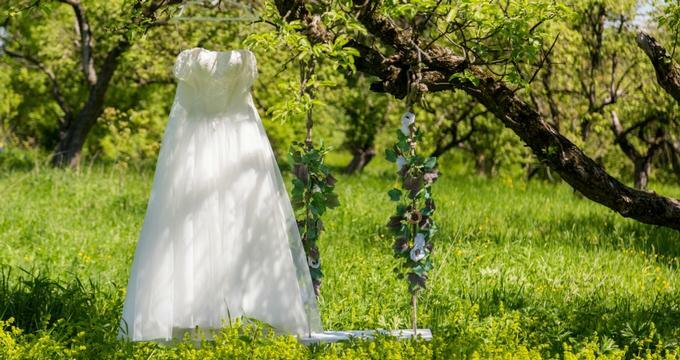 The couple will exchange vows on a gazebo surrounded by beautifully landscaped gardens. The property offers backup space indoors for those who are worried about weather. 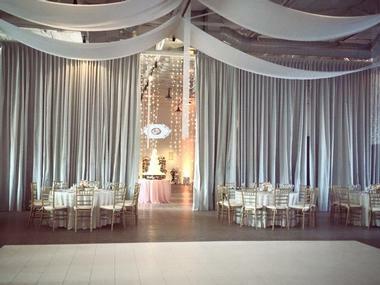 Lofty Spaces is a collection of unique urban spaces that can be combined in various ways to create a custom event space for your small or large wedding. The space is just minutes from downtown and features stunning views of the skyline. 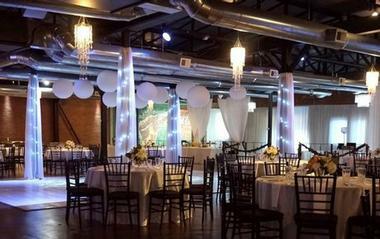 The indoor Loft SPACE offers 6,000 square feet of space that can be used for either receptions or ceremonies. The garden courtyard SPACE is a similarly sized outdoor space perfect for outdoor ceremonies. The property features a huge loft that functions as a bridal suite and a smaller Groom suite. Lofty Spaces offers wedding and reception packages that include tables and chairs, parking assistance, lighting, sound, and video equipment. Magnolia Hotel Dallas Park Cities is a newer addition to the Dallas hotel scene. The property is tucked between downtown and the upscale Highland Park neighborhood, offering a convenient location nearby many Dallas attractions. The property is also located near popular ceremony venues such as United Methodist Church, Perkins Chapel, and St. Thomas Aquinas Catholic Church. The property can be used for ceremonies, receptions, rehearsal dinners, bridal showers, and more. The bride and groom will receive complimentary accommodations in the hotel, and the event staff at the Magnolia will also work carefully with the couple to ensure all of the details of your wedding or reception meet your expectations. Marie Gabrielle Restaurant and Gardens is an upscale eatery and event venue that serves New American cuisine. The property features a beautiful tree-lined courtyard complete with a reflecting pool, while oak and birch trees offer pleasant shady areas. You and your guests will be surrounded by carefully landscaped gardens, ancient artwork, and European-influenced architecture, all of which create a truly indulgent and unique event space. The restaurant is open for customers during breakfast and lunch, but the evenings and weekends are devoted to weddings and other events. The cuisine is truly delicious and can be tweaked to meet your personal requests for your wedding day. Nuvo Room is a modern and unique wedding and event space in Farmers Branch on the north side of Dallas. The interior is all white, which makes it easy to match with any colors and have the background compliment your wedding design. Nuvo Room has made your day even simpler by including tables, chairs, lighting, and table linens in even their cheapest rental package. 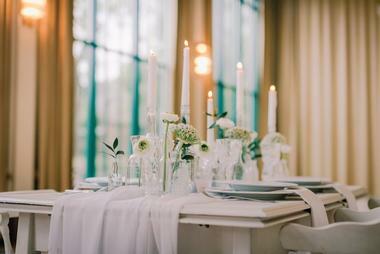 If you plan to serve dinner at your reception, you must use their catering company. However, this company, Culinary Arts Catering, gets rave reviews, which adds to the appeal of this venue. 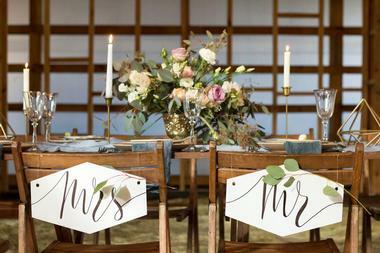 The space is highly customizable both in decor and layout, and the wedding coordinators at Nuvo are sure to help make your wedding day special. Occasions at Stone River is an all-inclusive wedding venue located in a rural area about a half-hour east of Dallas just off of I-30. The venue is flexible and can accommodate a range of wedding styles, including rustic, vintage, and traditional ceremonies and receptions. There are three event spaces to choose from when planning your wedding. The Wedding Chapel is a traditional chapel with a winding staircase for a grand entrance and a small altar at the front. 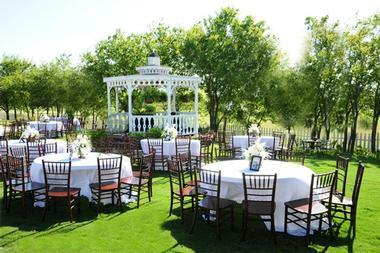 For those who prefer an outdoor ceremony, there is an outdoor Courtyard overlooking the Stone River Golf Course. For reception spaces, you can choose to have an outdoor reception in the courtyard or an indoor reception in the ballroom. Event packages include everything you need for your wedding and are highly customizable. Off The Grid is a unique urban venue located within the historic Dallas Power and Light Substation, provided power to the streetlights in the city of Dallas for many years. The building has been beautifully restored to an industrial loft style and is often used for weddings and other events. The space includes approximately 6,000 square feet of interior space and a spacious outdoor patio area. The venue features three stories of exposed brick, concrete floors, and stunning views of the Dallas skyline. Event coordinators at the venue can help with arranging all of the details of your wedding including food, tables, sound, entertainment, and more. 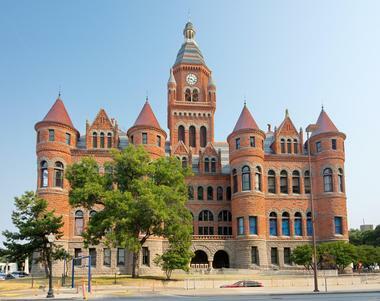 The Old Red Museum of Dallas County History & Culture is an 1890 courthouse made from red sandstone. The building houses a museum of city culture and history and is a unique wedding venue that exudes Dallas history. The building is sure to leave your guests with an impression, as are the romantic architectural touches such as the staircase, arches, and large windows on three sides of the Great Hall, which can accommodate up to 300 seated or 400 standing guests. There are two nearby rooms that can be used for ceremonies including a 1890s courtroom where the ceremony takes place inside one of the building's turrets. 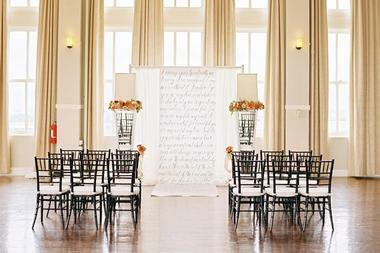 Park City Club has been a popular Dallas wedding and reception venue since it opened in 1984. 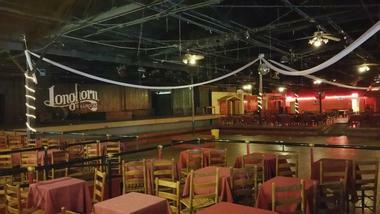 The venue was created as a social club in the residential Highland Park and University Park neighborhoods. The club has a number of veteran staff members who have rightfully earned a reputation for quality service and attention to detail. 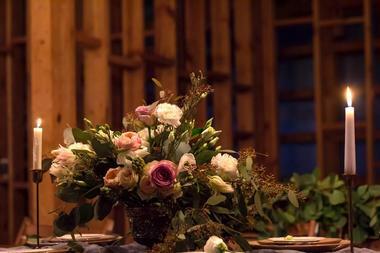 Park City Club is perfect for an upscale wedding celebration. They have several rooms ranging from the intimate Windsor Room, which can host 40 people, to the Main Dining Room, which can seat 200. The club has dedicated event directors on staff to help with all of your planning needs. 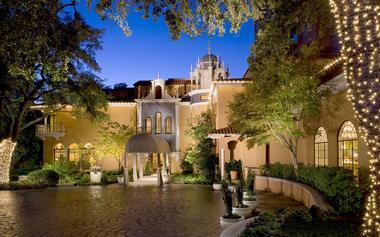 Rosewood Mansion on Turtle Creek is a turn-of-the-century mansion that was originally built as a private residence. The building now functions as a luxury 143-room hotel and event venue. The building retains much of its original charm. You and your guests will be transported to the elegance and glamour of the 1920s but with all the convenience and comforts of today. The Promenade Room, a popular site for hosting receptions, features a full wall of arched windows providing beautiful views of the property and letting in lots of natural light. The venue can host indoor and outdoor seated events up to 200 and up to 250 standing guests. Sixty Five Hundred is a space combining rustic, modern, and industrial touches. The venue is a bit eclectic but somehow pulls all of these influences together to offer a unique and delightful wedding venue. The space was originally used as a warehouse by General Electric. It features an open floor plan with 20-foot pinewood ceilings accented with beams so the interior feels quite spacious. It truly is one of the largest venues on our list. Full rental of Sixty Five Hundred includes more than 15,000 square feet of space with a capacity of 1,000 standing guests. 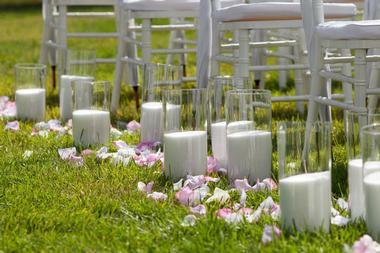 Partial rentals are available for smaller weddings. 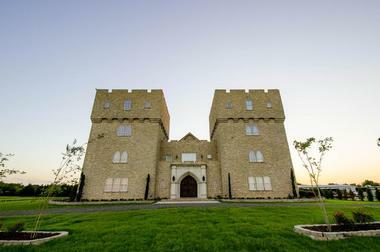 The Castle at Rockwall is the perfect wedding venue for those who want to channel their inner prince and princess. The space offers everything you need for a royal wedding including beautifully landscaped gardens, gorgeous lawns, a small chapel, and spacious wedding hall. There are two spaces available that give you the option to hold a wedding followed by the reception all at this one venue. The wedding chapel can seat up to 64 wedding guests, whereas the Great Hall can host up to 200 for the ceremony. The Banquet Hall offers dedicated reception space with large windows, French doors, and other charming and elegant features. Continue the royal theme and ride away from your wedding in a horse-drawn carriage that you can rent at the venue. 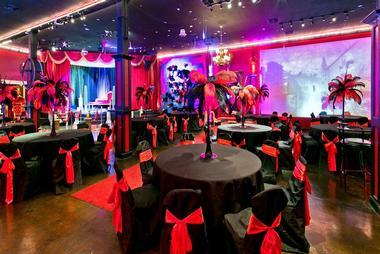 Located in Dallas's Design District, The Empire Room offers a unique location that is designed to offer truly customized events. The floor space can be rearranged to help you achieve your vision for your wedding and even includes vehicle access to the indoor space. The space can accommodate a large crowd and a spacious dance floor but can also be arranged so that it doesn't feel oversized for smaller events. The Empire Room also features a nice bridal suite and lounge area with luxury furnishings worthy of an elegant bride. One of the best features is the patio where guests can stargaze under strings of lights with views of the Dallas skyline. The Lumen was originally built as a charming motel in the 1960s. It has been remodeled into a mid-century style and offers a retreat of sorts in the Highland Park neighborhood's tree-lined streets. The Lumen is a smaller space, perfect for intimate receptions. Many couples choose to exchange vows at the SMU Perkins Chapel across the street. They can accommodate cocktail receptions with up to 100 guests. Nearby sister property, the Joule offers added flexibility to your event planning, including a larger ballroom and some outdoor space. 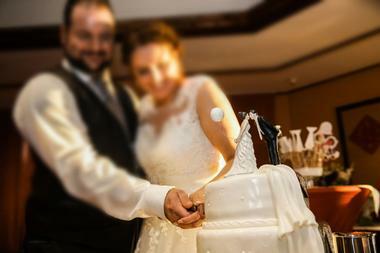 For those who wish to book accommodations, the hotel offers special rates for your wedding party and guests. 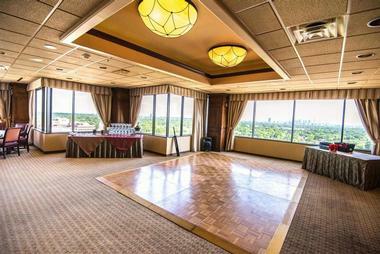 The Room on Main is a historic ballroom located on the sixth floor of the city's Dallas Art Center. The spacious ballroom has been beautifully restored with gorgeous wood floors, antique chandeliers, tall ceilings, and tons of natural light from three walls of 15-foot windows. The ballroom offers 6,000 square feet of space that can comfortably hold up to 320 wedding guests. The space can be used for ceremonies, receptions, and other events and offers enough space for a ceremony and reception to both be held on the same day. 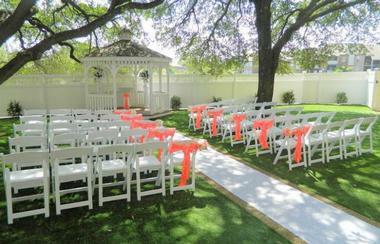 For those who prefer an outdoor ceremony, the Room on Main offers the option to exchange vows on the beautiful lawn behind the building and then move inside for their reception. Tower Club Dallas is an exclusive business club located on the sky level in the Thanksgiving Tower in the center of the city's business district. One of the biggest highlights of a wedding at the Tower Club is the view it offers of the city. The Tower Club has a classically trained head chef and talented culinary team who will craft a menu of gourmet cuisine from the highest quality ingredients available. 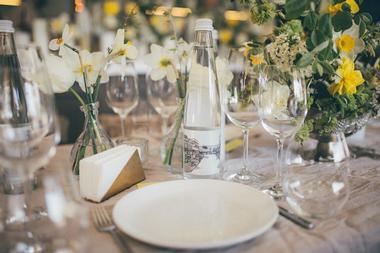 Venue rentals include tables, chairs, linens, tableware, and more. Some basic decorative elements are also included. The staff will assist in helping you arrange other details of your event such as flowers, entertainment, and any other needs. The historic Belo Mansion was originally built for Alfred Horatio Belo, a confederate veteran and the founder of the Dallas Morning News. The house is the perfect venue for a bride that desires elegance and an upscale feel to her big day. The main hall can host seated events up to 350 guests and there is additional space in other rooms including the Bar, Family Dining Room, Parlor, and Colonel Belo's Study. The unique spaces offer plenty of areas for guests to tuck away from the main party on the dance floor. Belo Mansion can also host smaller wedding-related events such as bridal brunches and rehearsal dinners.